Two weeks that change lives! Every summer more than 200 international participants visit Moldova for our “Love Moldova” program. Over a two-month period we offer a variety of exciting options for two-week outreaches in Moldovan villages. Teams come alongside local churches as they run children’s programs, sports camps or construction projects, sometimes staying in one village, sometimes travelling from place to place. There are usually also possibilities to work with youth or to visit and help poor families and neglected elderly. All these are used to share God’s love and truth with the people of Moldova. At the same time the teams are a huge encouragement to the churches that are often small and lacking resources. Besides assuring them that they do not stand alone, a team’s visit can give the church the opportunity to offer something special to their community and inspire and motivate the local believers to continue the ministry. Some outreaches take teams to areas that have no evangelical believers at all, like the River Adventure teams that travel on a raft to the unreached villages along the banks of the river Nistru in northern Moldova. Other outreach options include trekking from village to village or travelling by horse and cart. 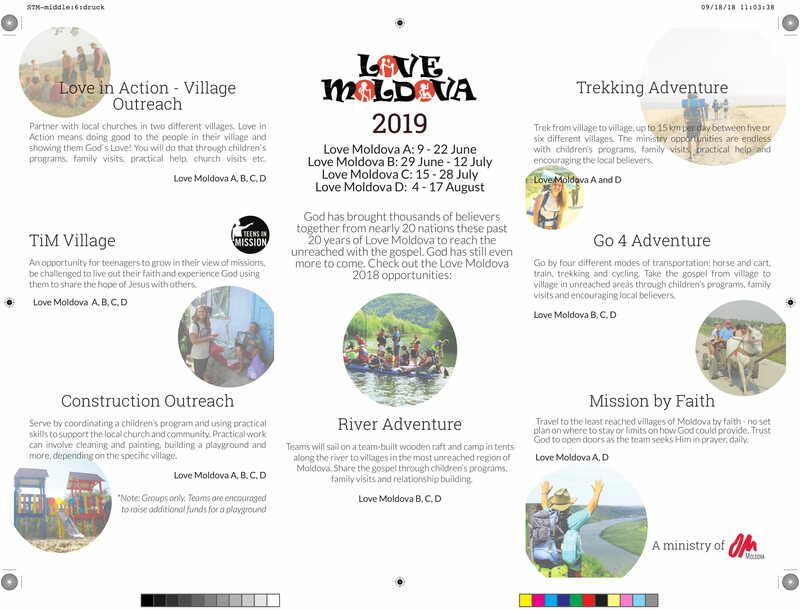 To sign up for Love Moldova 2019 please contact your local OM office. 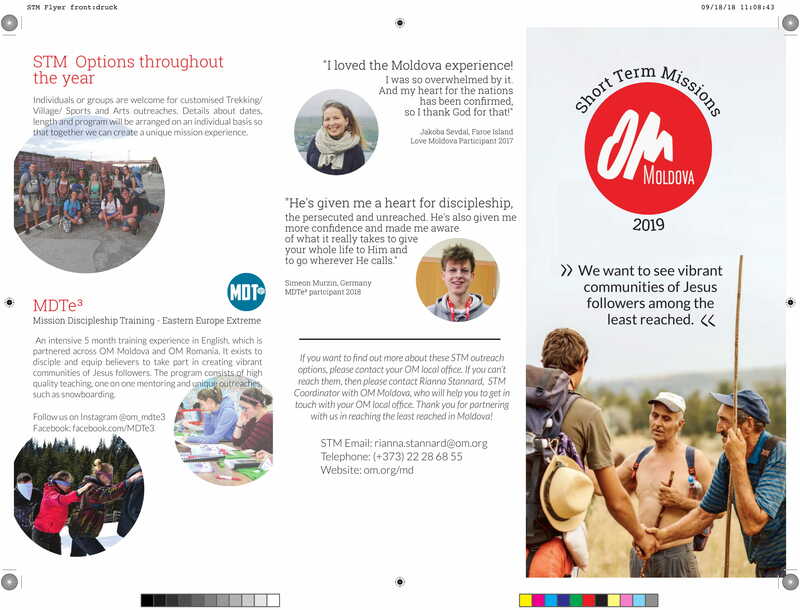 You can come as an individual or as a team - why not motivate your church’s youth group to a shared adventure that will strengthen the group’s unity and faith, while you serve God and others?